Sane Knipex quality and innovation as always. MultGrip feature is the standout feature. It’s very comfortable and ergonomic. It also looks fantastic. I bought a big store brand with this style of mechanism and the were terrible. So it made me reluctant to try these. I trusted the reviews and tried them. I should not have waited so long to buy these. Now I need more. I'll be replacing all my pliers with these. Best adjustable pliers I've ever owned! For years I used different brands and always came up short and wishing for a better quality tool! I use these Knipex Cobras EVERY DAY and they work perfectly. They stay gripped when you set them, easily adjustable and durable! Awesome tool and great value for what you get! 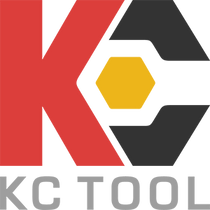 KC Tool website is easy to use and always has the best products! Highly recommend KC Tool and Knipex! These are absolutely the best adjustable pliers on the market. The multi-component grip is perfect for someone, like me, that has problems with his hands and fingers. I have one pair each of the 7" and the 10", and they have become like extra sets of fingers for me. They're awesome. Nothing new to add here. Typical Knipex quality. One more to go and I'll have the entire set. The 10" w/ MultiGrip is a great combo. Nothing beats these as far as I know. If your used to the flat-jaw style, these will blow you away. These are the best water pump pliers I have ever used. As an electrician I love the narrow, precise head for grabbing and tightening lock rings inside junction boxes. They are much more usable than Channellock pliers for that application. They also seem to grip better. As far as the handle style, having used both available styles, I think if you are going to use these all the time it is worth paying the extra little bit for the more comfortable grip.